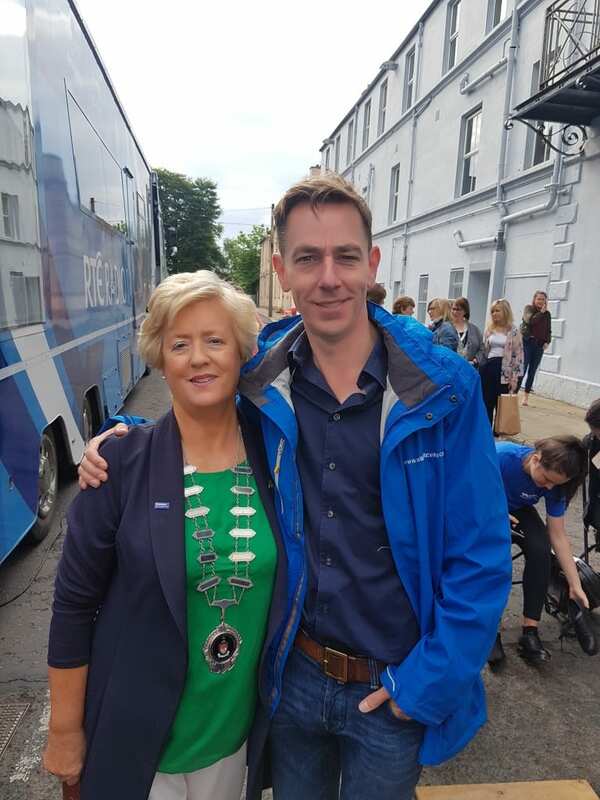 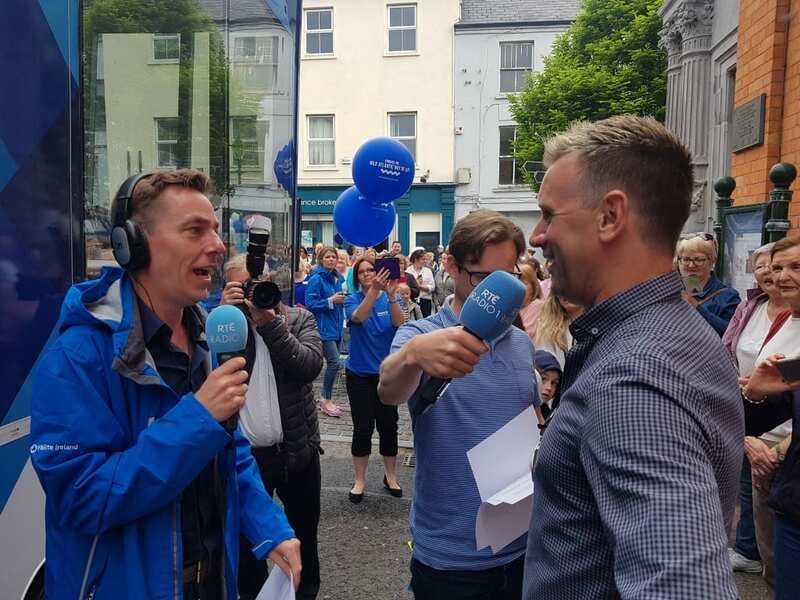 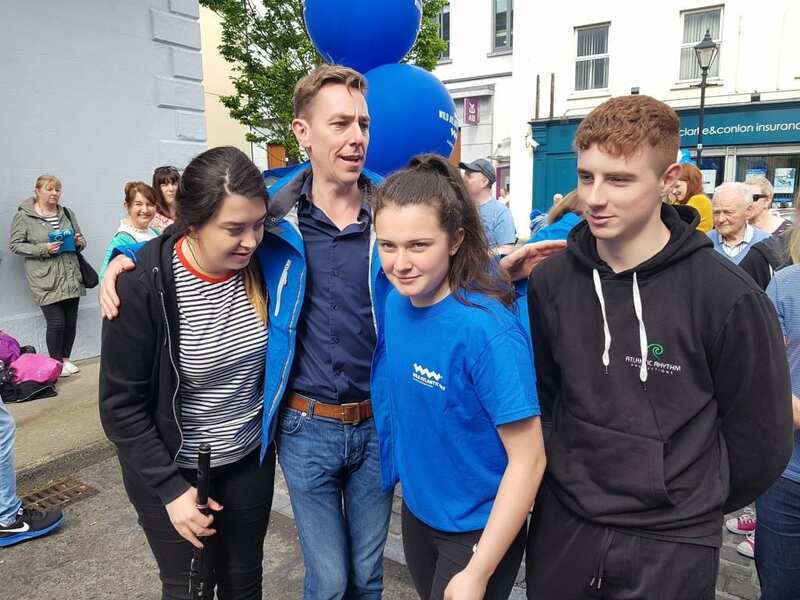 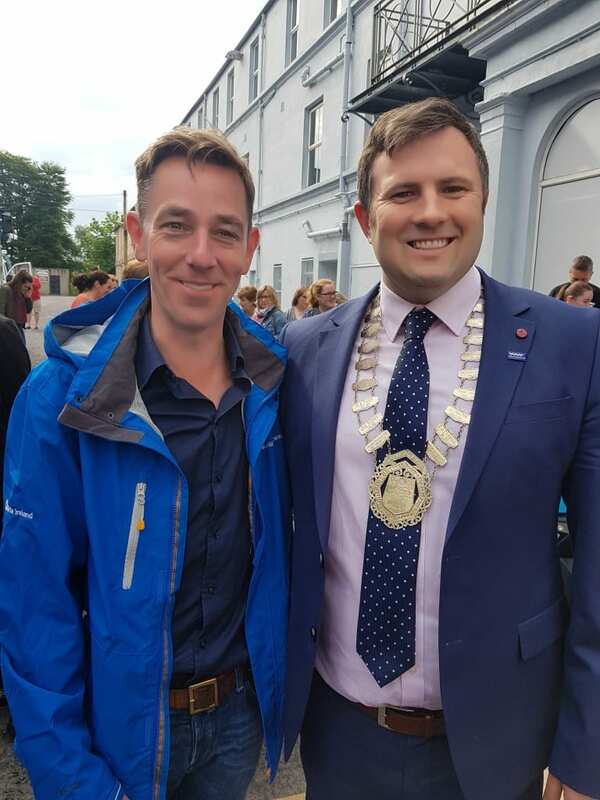 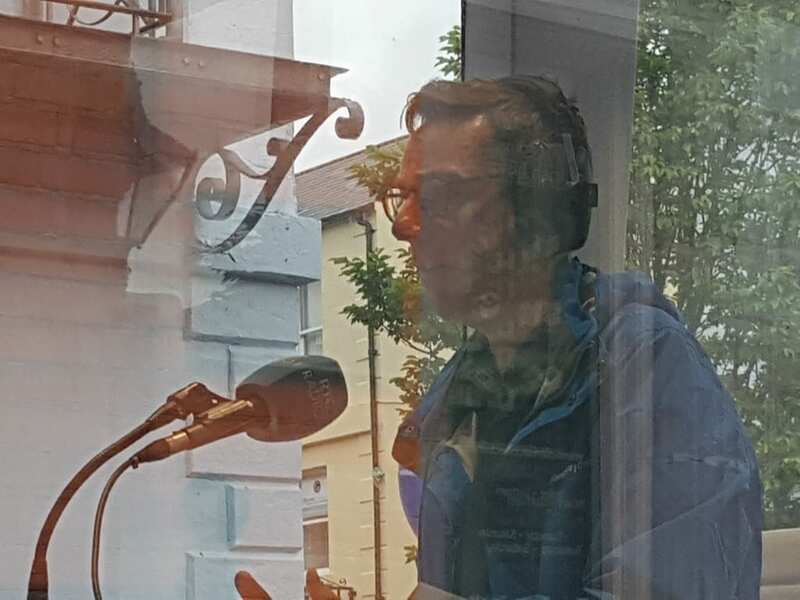 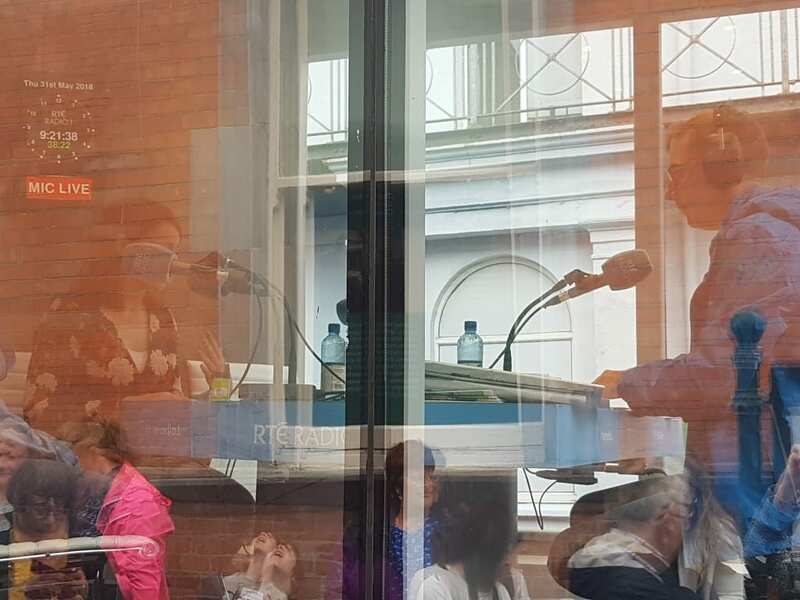 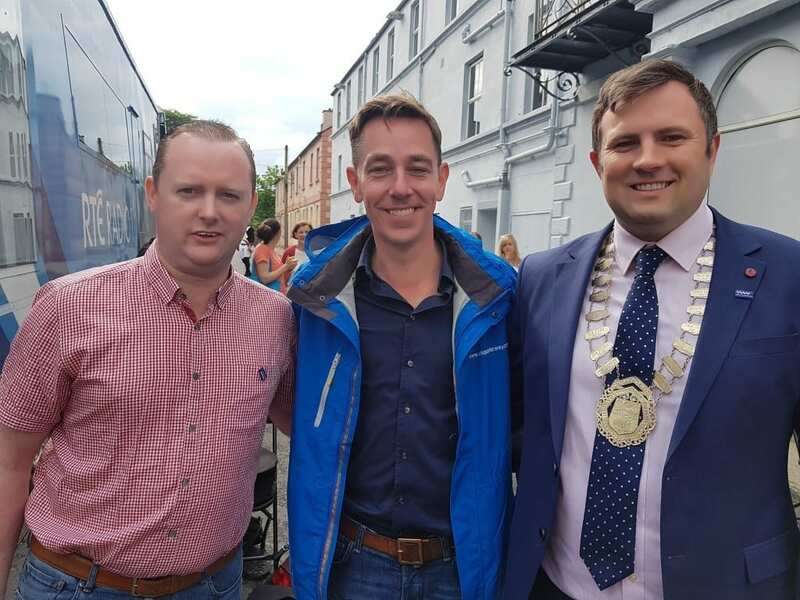 So Ryan Tubridy has just finished a live broadcast in Ballina, which kicked off this morning, Thursday 31st May from 9am running through to 10am. 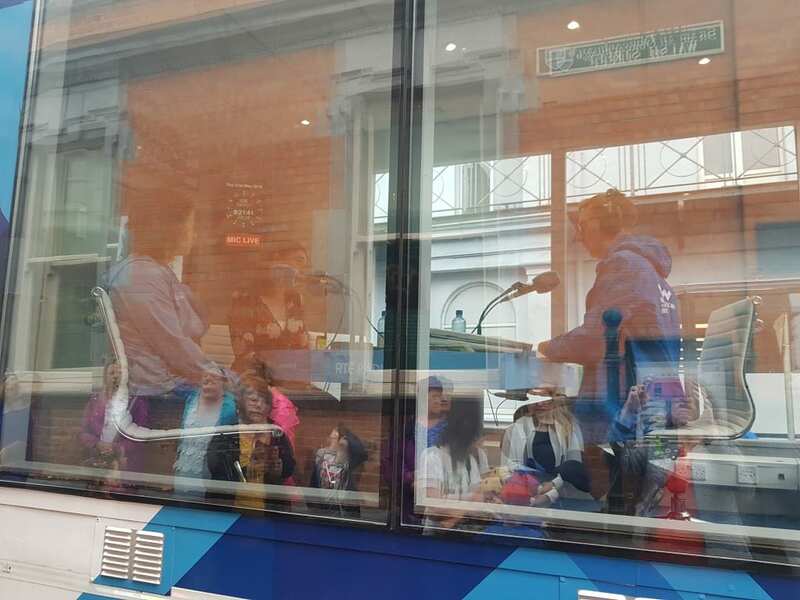 And what a jam packed one hour live broadcast it was!! 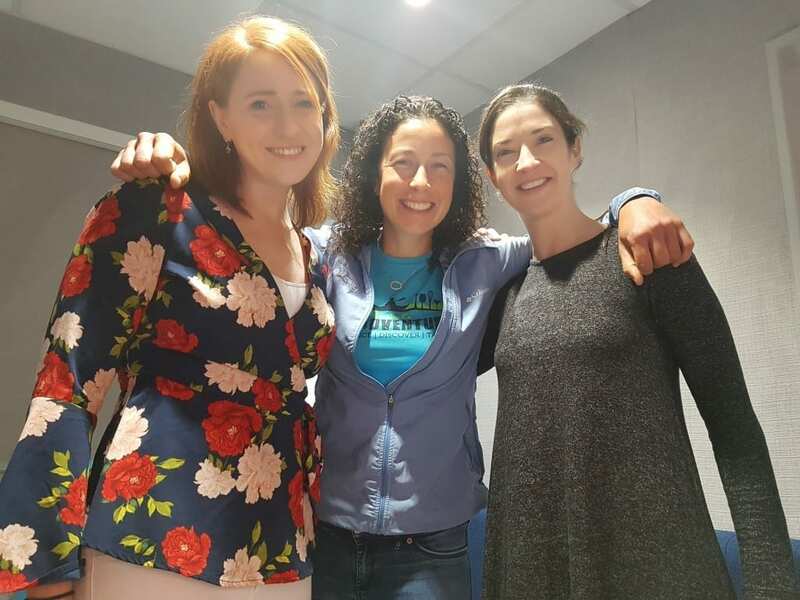 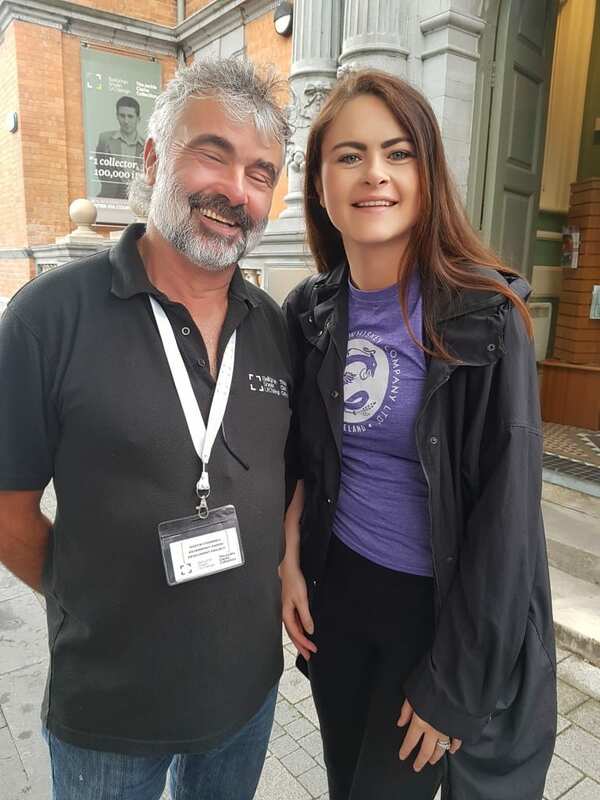 Featuring interviews with Norah Patten: Scientist-Astronaut Candidate, Rachael’s Irish Adventure, and Anne Marie Flynn Manager of Mayo North Promotions and PRO of Ballina Salmon Festival, as well as chatting with international country star Mike Denver, Steve Dunford of In Humberts Footsteps and many more Ballina folk. 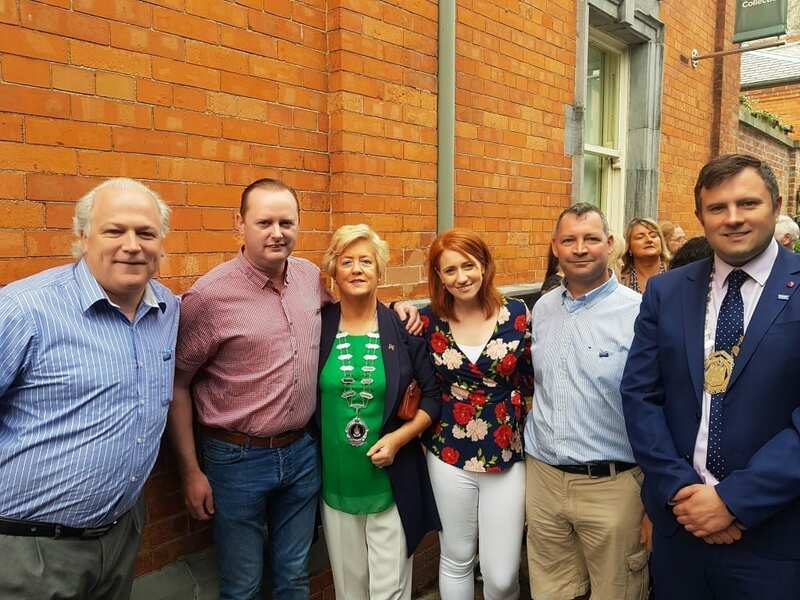 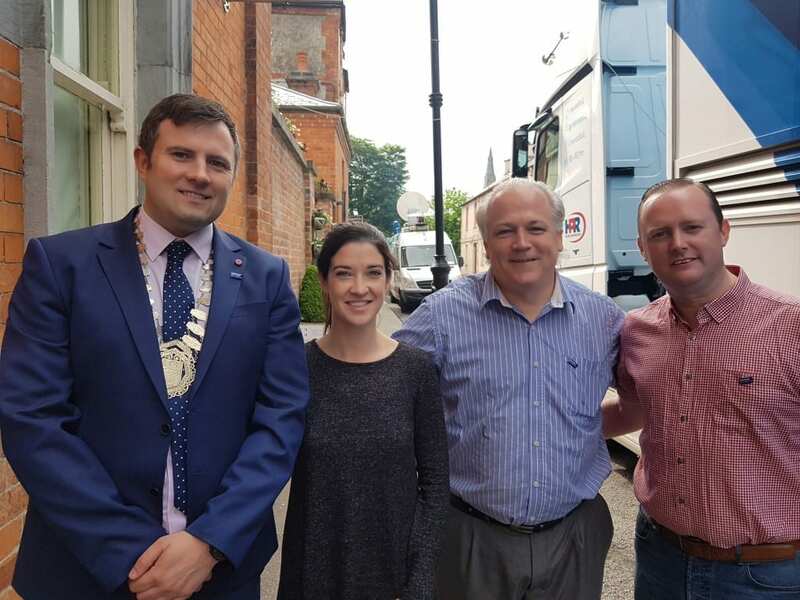 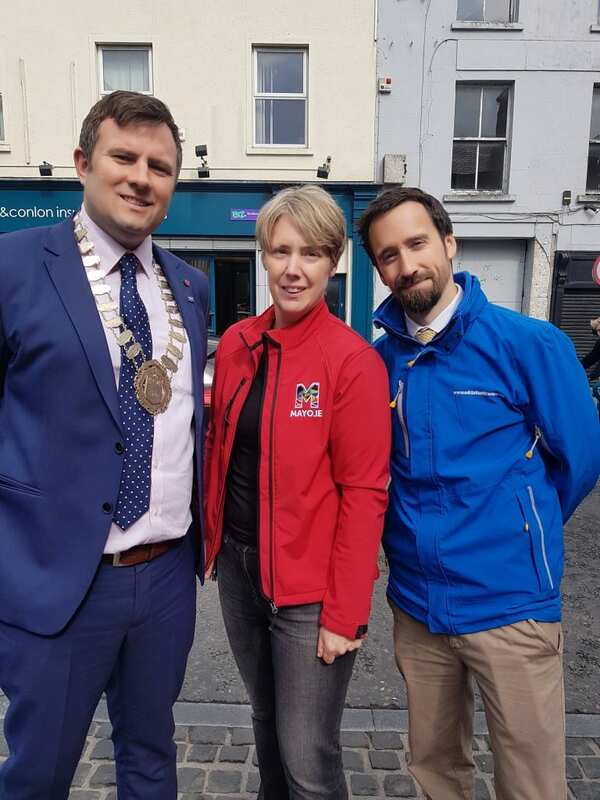 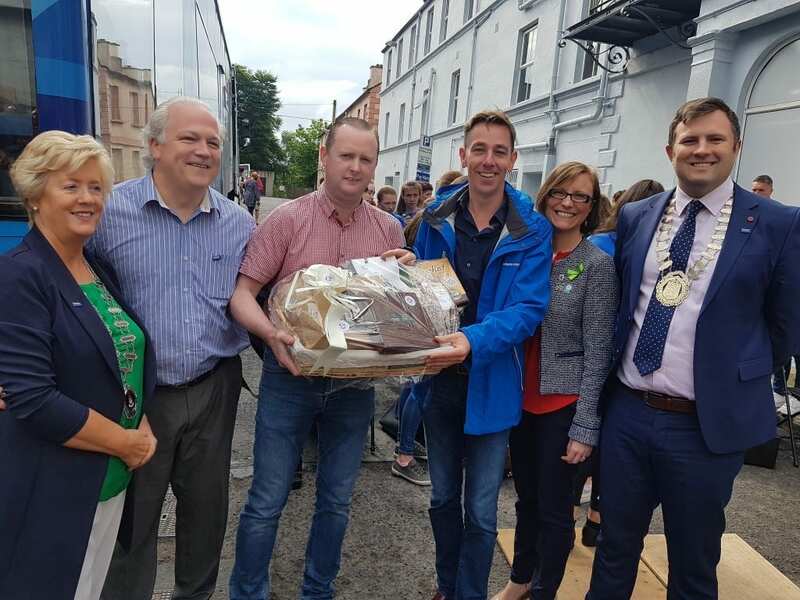 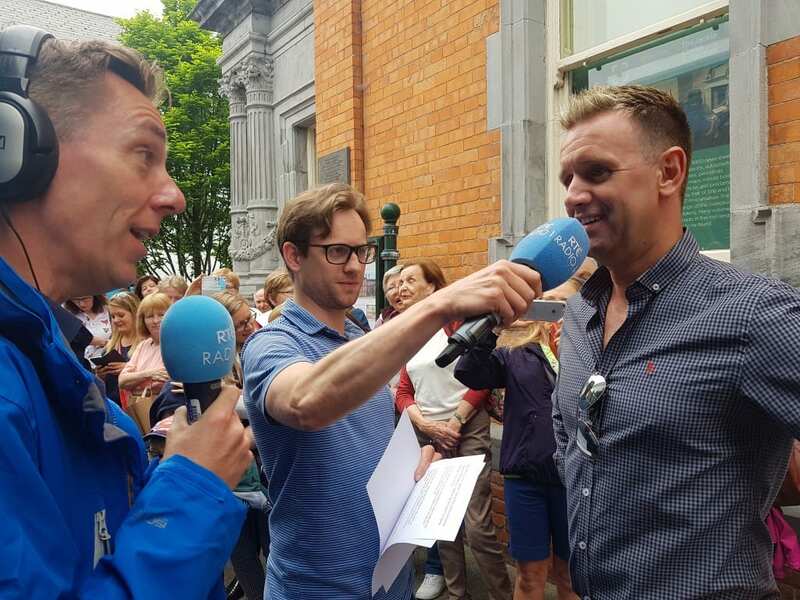 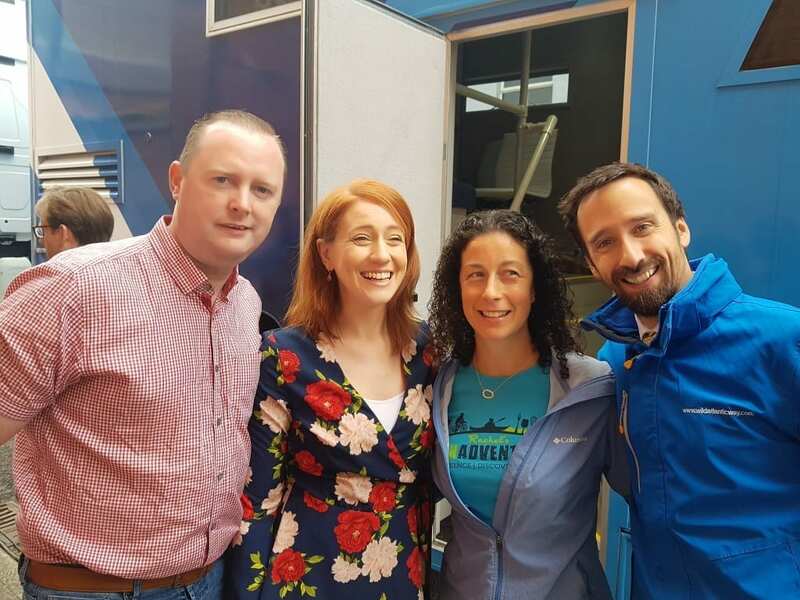 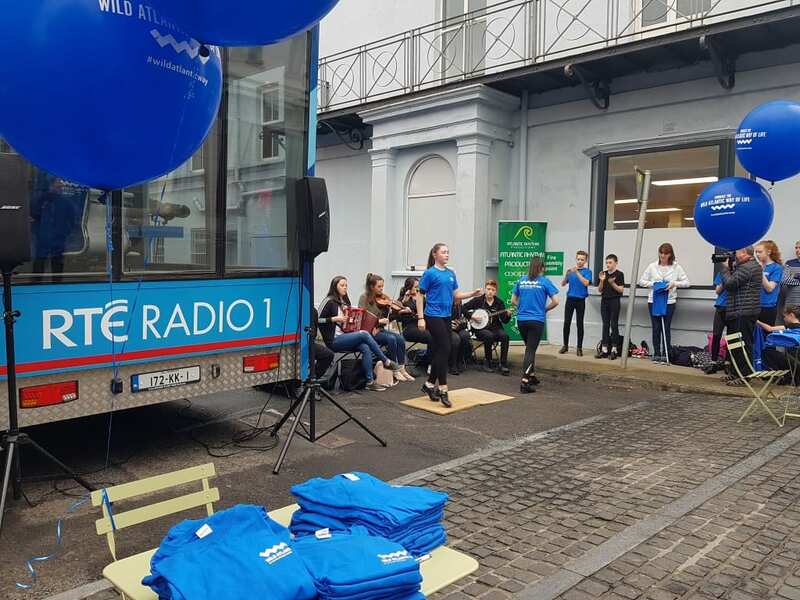 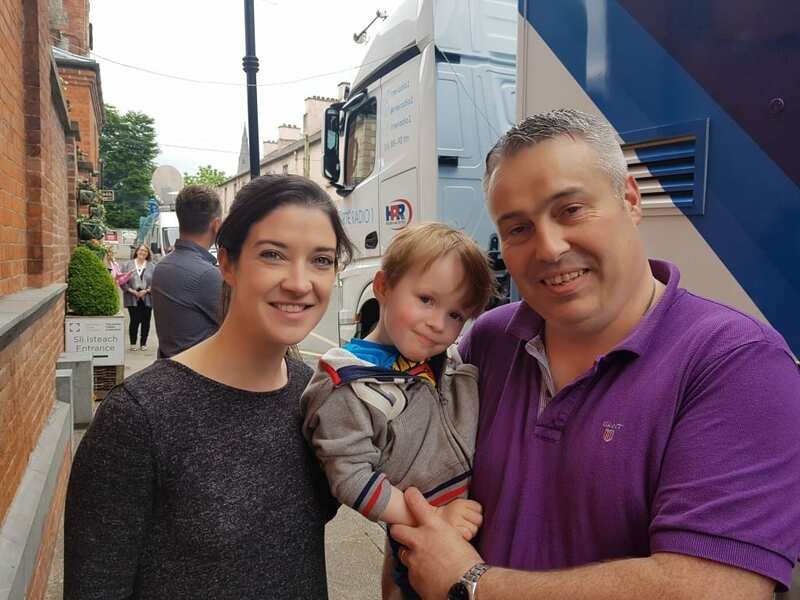 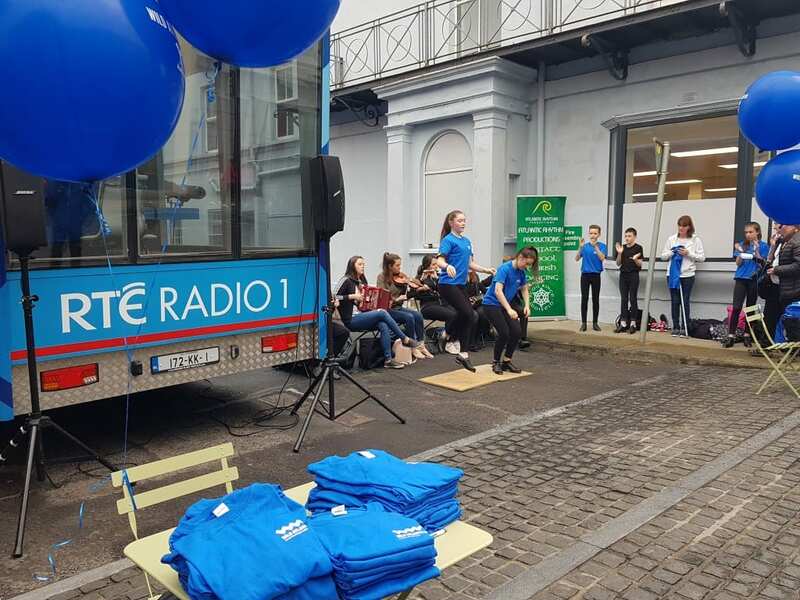 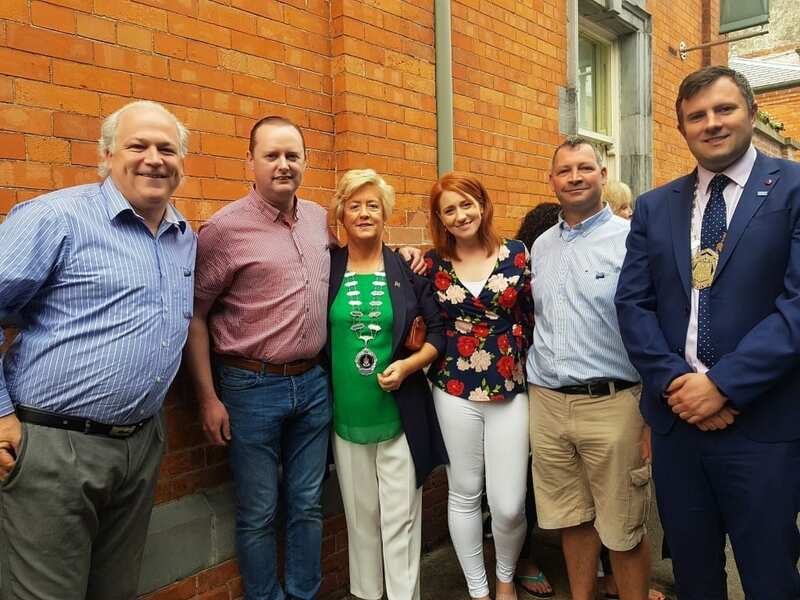 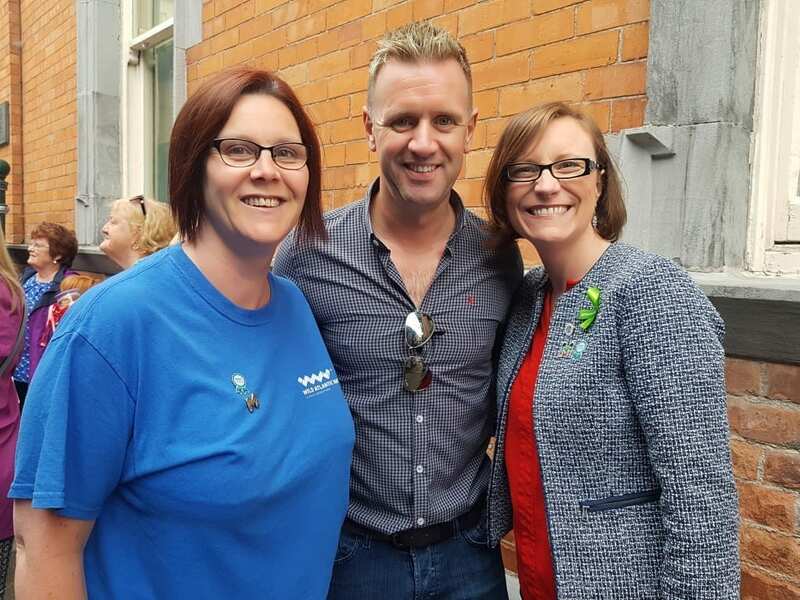 The ‘Tubs on Tour on the Wild Atlantic Way’ live broadcast in partnership with RTÉ Radio 1 and the The Ryan Tubridy Show, came to Ballina and brought the RTE Roadcaster which was located on Walsh St, just outside the Jackie Clarke Collection in Ballina town centre. 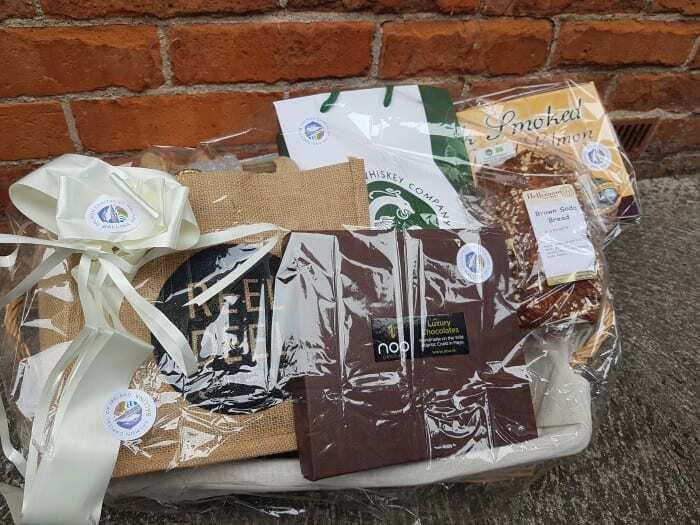 This Fáilte Ireland funded promotion presented the tourism highlights of Ballina, North Mayo and the Wild Atlantic Way to a national audience and Ryan and his team engaged in some great, local tourism experiences ahead of the broadcast and enjoyed hospitality in The Ice House, Dillons Bar and Restaurant as well as having a tour of the Jackie Clarke Collection with many more events planned but time constraints and scheduling got in the way. 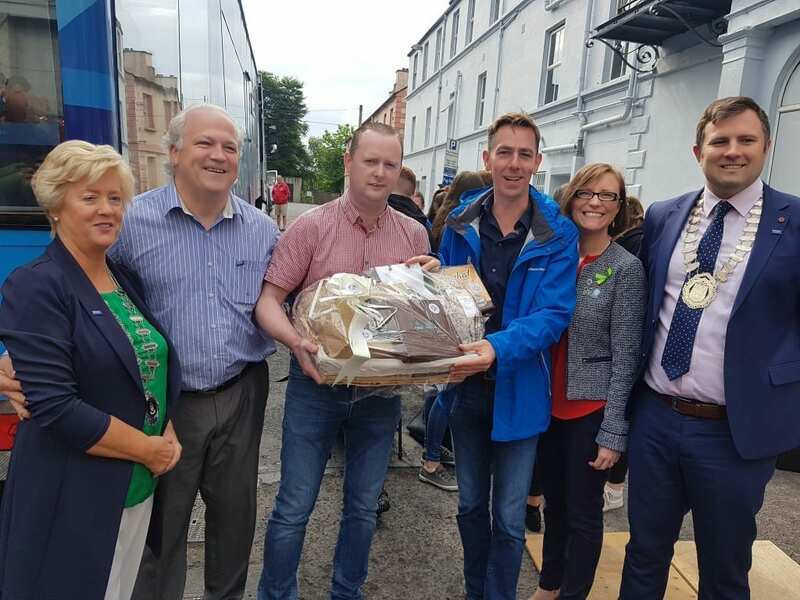 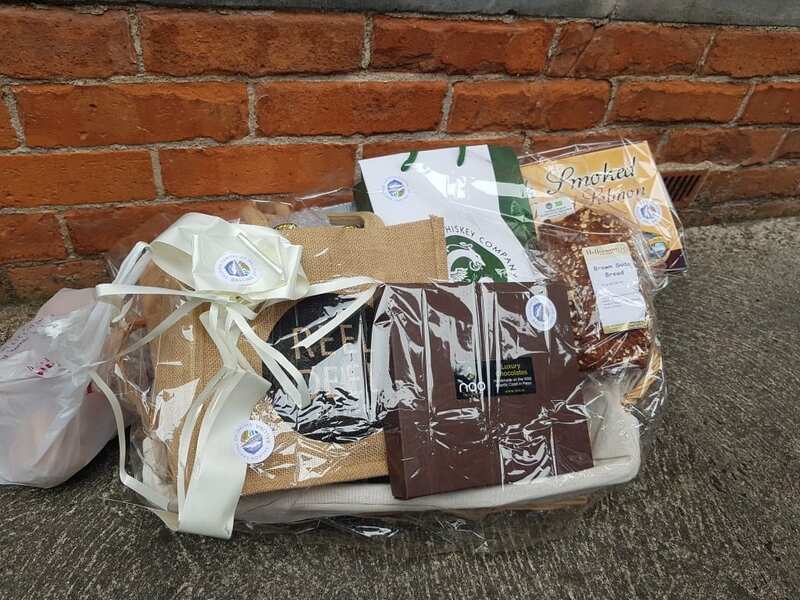 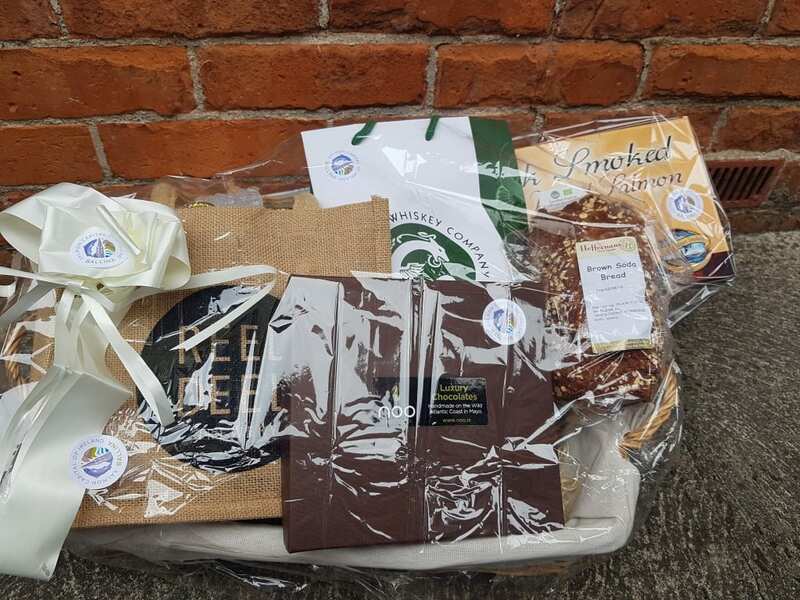 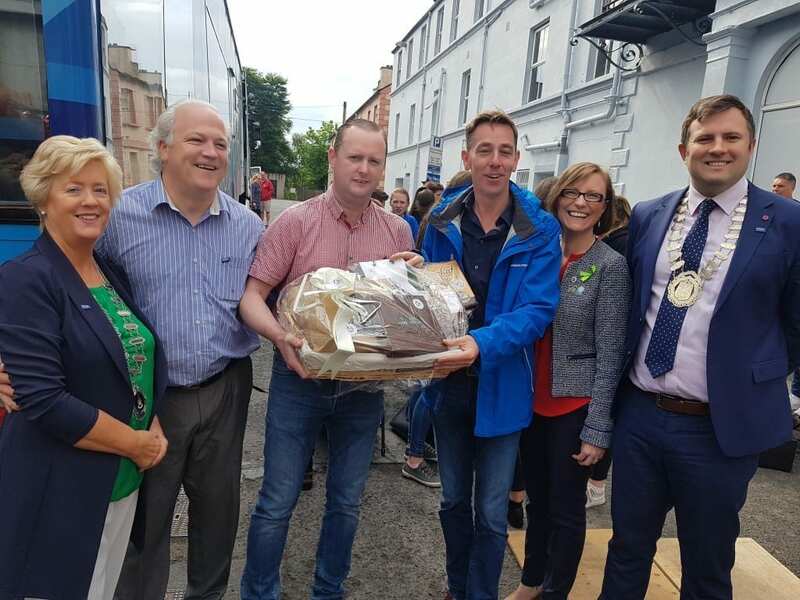 Ballina Food Fleadh Committee and Ballina Chamber of Commerce presented Ryan with a very unique hamper full of Ballina goodies including a side of smoked Salmon from Clarkes fish shop, a bottle of Conncullin Irish Gin from Connacht Whiskey Company, home made brown bread and treats from Heffernan’s Fine Foods, Deli, Cafe, Bakery & Butchers a delicious box of Chocolates from Noo Chocolates and a selection of brews from Reel Deel Breweries. 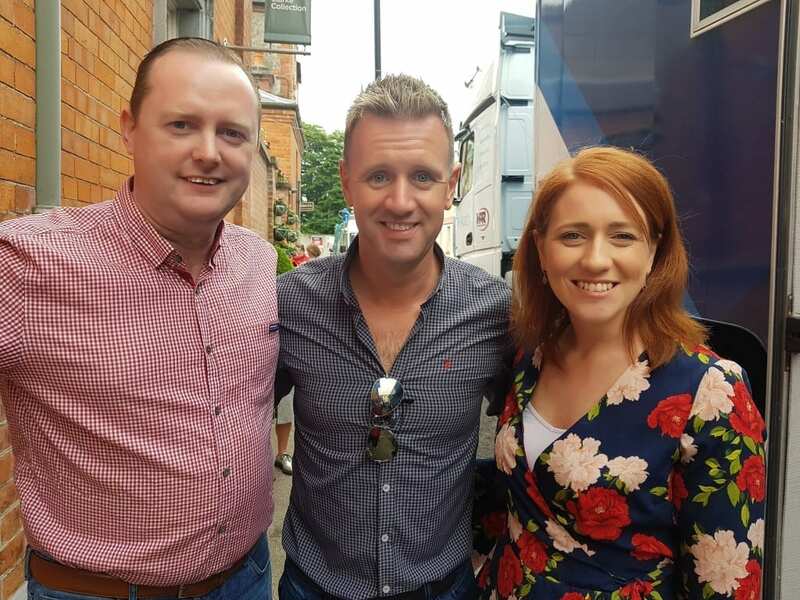 Lucky Ryan !! 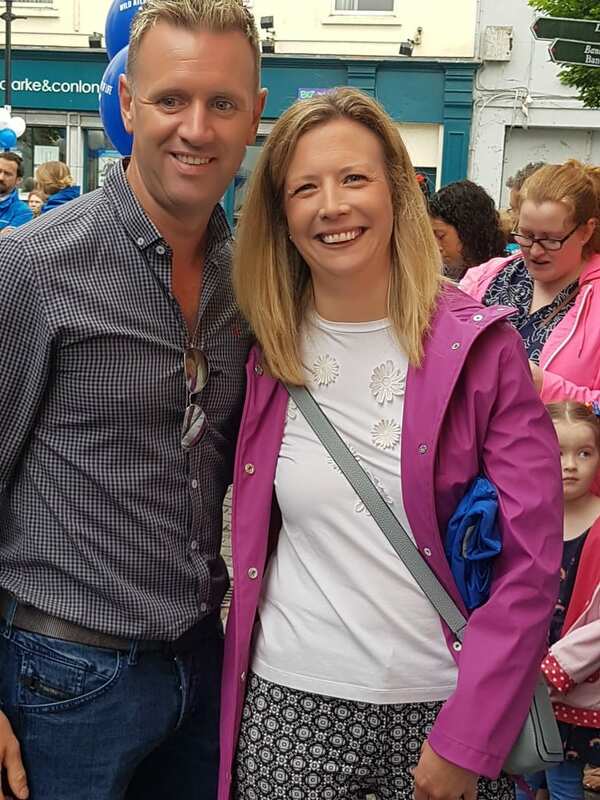 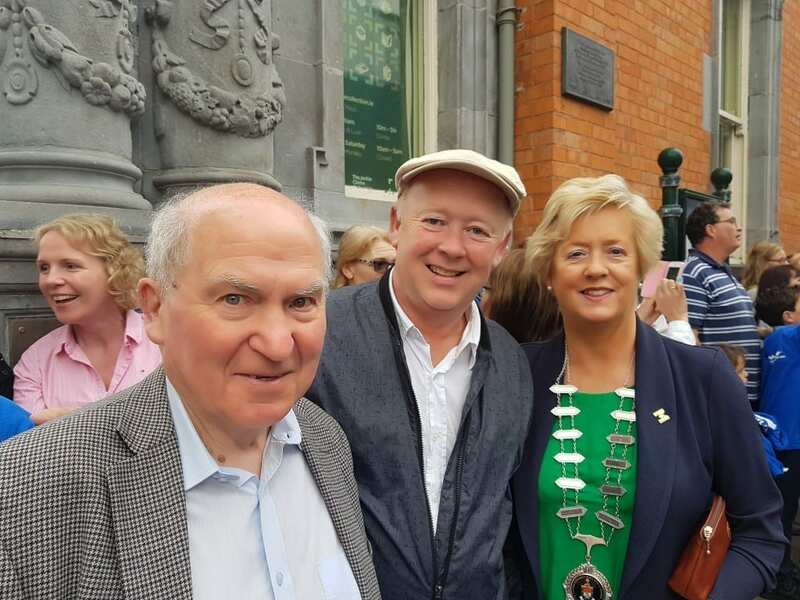 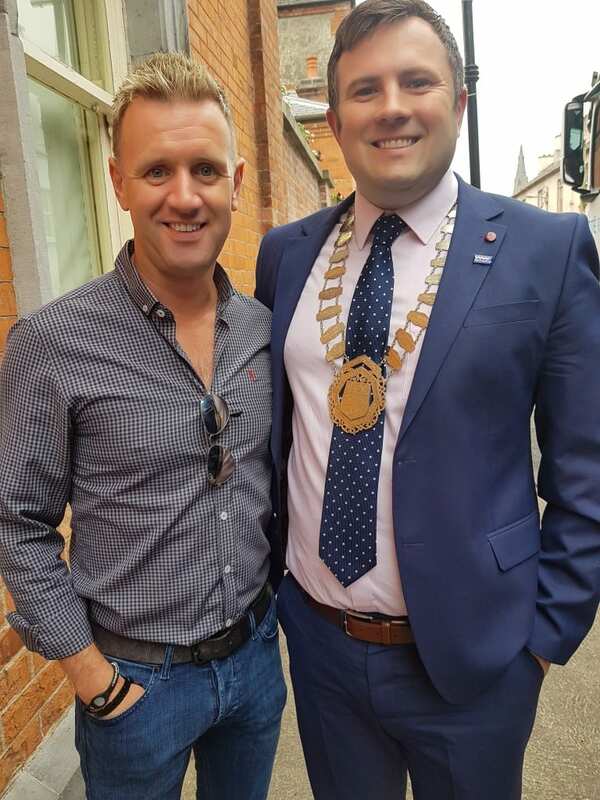 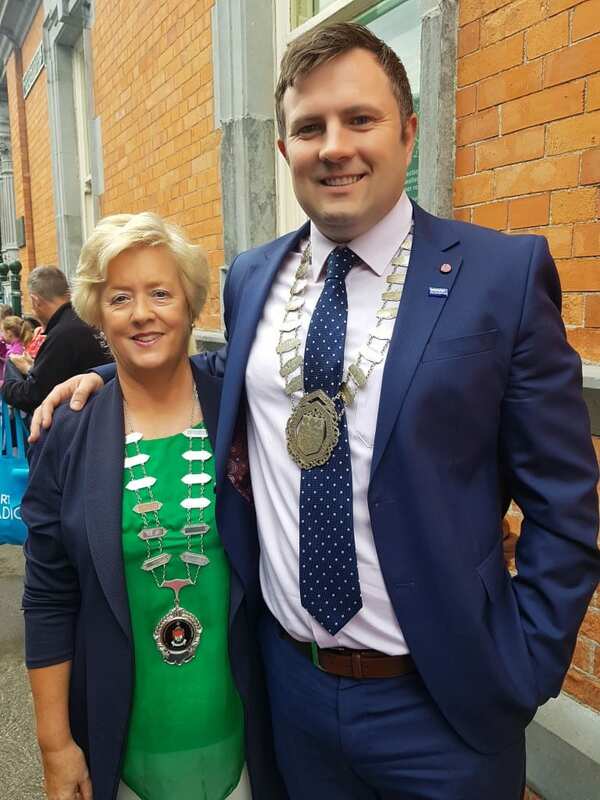 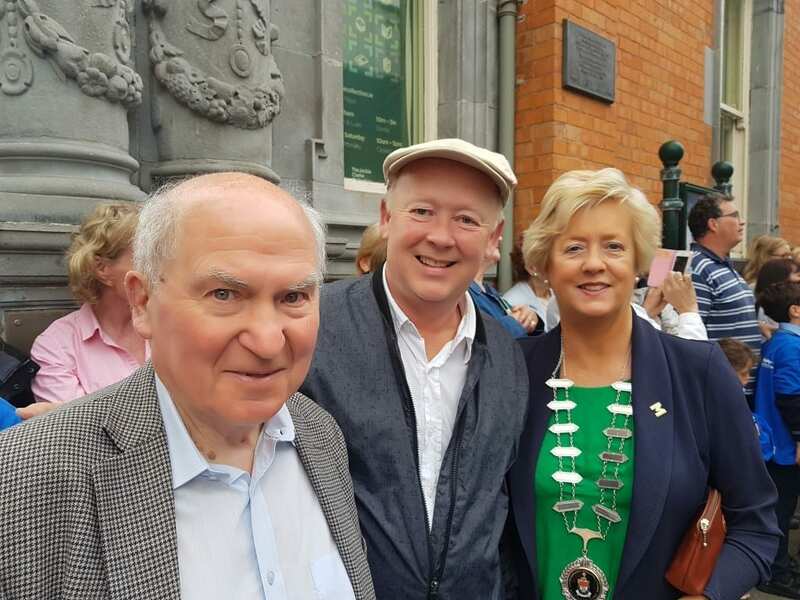 With great crowds out this morning to welcome Ryan as well as live music and dance by Atlantic Rhythm Productions, (who incidentally are launching a summer show in the Ballina Arts Centre, entitled TradBeats-The Show) Ryan promised to return again to enjoy more of the Ballina hospitality along the Wild Atlantic Way.